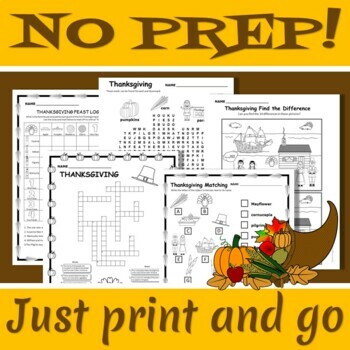 Thanksgiving English Activity Sheets - No Prep! 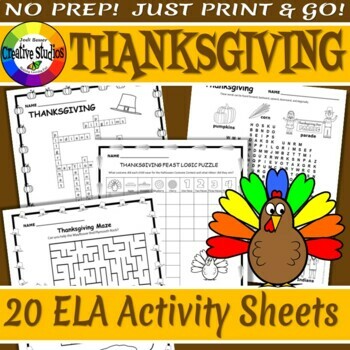 This Thanksgiving Activities sheet set includes 20 various activities for first to fifth grade. 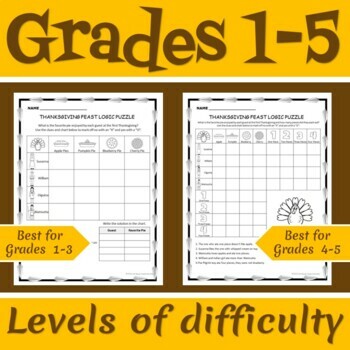 These fun worksheets were created to give teachers a choice of difficulty level based on the level of the students in the class. 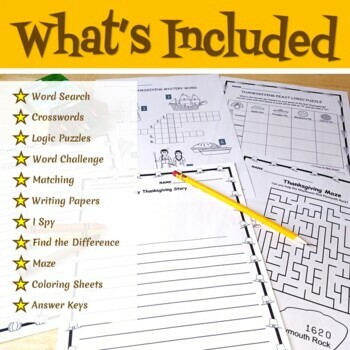 All worksheets are in black and white only for easier printing and to give the students a chance to color the items if they finish the activity early. No prep, just print and use. For personal or classroom use only!